Mark Andrews is the Practice Group Leader of Dykema's Bankruptcy, Insolvency & Creditors' Rights Practice Group. He has served both as lenders’ and debtors' counsel in complex Chapter 11 cases. 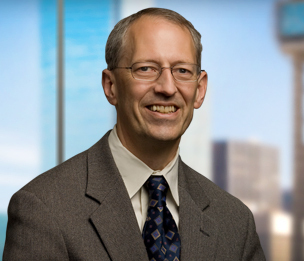 In a legal career spanning more than 30 years, he has represented clients in bankruptcy courts in every district in Texas and has appeared in courts and at the negotiating table throughout the United States. Mark joined Dykema in 2006 after a number of years practicing as a named partner in a business bankruptcy boutique firm in Dallas. He is a Fellow of the American College of Bankruptcy. Mark has served as counsel for creditors’ committees, debtors, trustees and creditors in cases spanning the energy, finance, healthcare, insurance, real estate, telecommunication and transportation sectors. Chambers USA, reports that "he can find a consensus in situations that seem impossible." Served as regional bankruptcy counsel for Bank One in Dallas prior to its merger with JPMorgan Chase. Served as counsel for JPMorgan Chase, Comerica Bank, and Texas Capital Bank among others. Represented City Bank Texas in complex workouts, including successful restructuring of debts cumulatively exceeding $50 million to a real estate developer. Involved in negotiating the sale and recapitalization of complex real estate entities including representation of lenders holding claims exceeding $50,000,000 on real estate assets in Texas. Mark opposed plan confirmation and obtained a settlement obligating the borrower to pay interest and attorney’s fees in a case involving a dispute between sophisticated real estate parties. Led a team representing regional homebuilders in Chapter 11 cases, which allowed the debtors to complete construction on dozens of otherwise unfinished houses, pay down lenders through ordinary course sales of finished houses, and sell substantially all of the company’s assets through bulk sales of the remaining houses and lots. Led a team representing primary secured creditor in large multi-debtor real estate Chapter 11 cases by protecting creditor against effects of cramdown through Chapter 11 plans and debtors’ attempts to object to claim based on depreciated value of collateral. See In re Good, 413 B.R. 552 (Bankr. E.D. Tex. 2009), aff’d by 428 B.R. 249; see also In re Good, 428 B.R. 235 (Bankr. E.D. Tex. 2010). Successfully caused appointment of a Trustee in a dispute over valuable Hawaiian real estate. Represented Midstream Company Murphy Energy in its Chapter 11 filing which culminated in a sale of assets for over $75,000,000. Represents the Official Committee of Unsecured Creditors in Frac Specialists in achieving a plan with a significant payout. Represented Committee of Unsecured Creditors in Patman Drilling. A member of the team that represented prospective buyers in auctions for assets in large oil and gas Chapter 11 cases. Served as debtor’s counsel for Energy Recovery Group, LLC and Northstar Energy, Inc., among others. Representing Preferred Care Management in its Chapter 11 proceedings. Appointed Chapter 11 trustee for Winnie Community Hospital. He was able to obtain confirmation of a plan within 120 days of his appointment after successful negotiations with key lenders, civic leaders and tax authorities. Retained to represent the Official Committee of Unsecured Creditors in the Mason Coppell nursing home cases. Engaged to represent borrower on bond default of nursing home in central Texas. Engaged to represent DIP lender in connection with a bankrupt hospital. Represents debtors such as Bag ‘n Baggage, Ltd. (a national retail chain) and Boot Town Western Wear, a regional apparel chain, in Chapter 11 cases. Represented successful buyers at auctions of national restaurant chain. Led a team representing junior lien holders in liquidation of national retail debtors by obtaining early settlement and payment of claims without protracted litigation. Represents principals and DIP lenders in multiple related complex restaurant bankruptcies, achieving plan confirmation and resolution of disputes. Achieved plan confirmation over vigorous objection involving ownership of Texas real estate assets valued at more than 30 million dollars. Resolved complex litigation in bankruptcy court on behalf of an investment fund with loans exceeding $35 million to related borrowers. Defends lawyers in connection with fee dispute and malpractice claims.